Below is a rare video from the Scarfolk archives. In 1975 there was a series of anonymous signal intrusions on the Scarfnada TV network. Many believed that the council itself was directly responsible for the illegal broadcasts, though this was never confirmed. 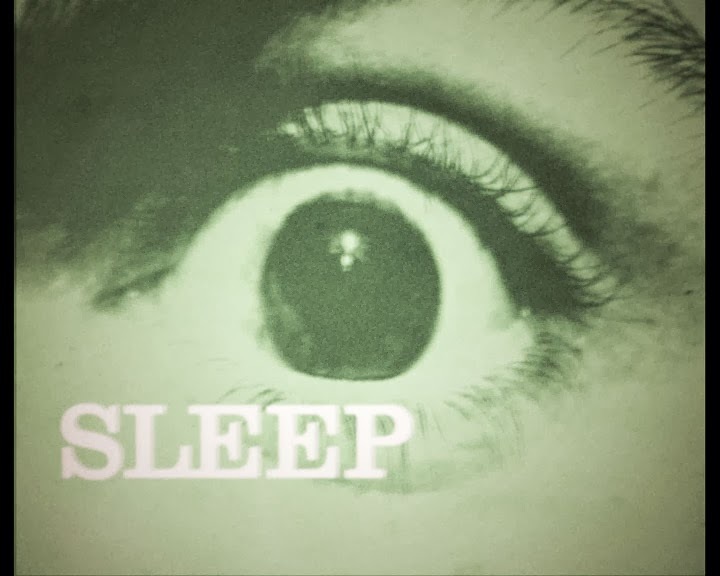 However, in 1976 a BBC TV documentary revealed that the council had surreptitiously introduced tranquillisers to the water supply and employed council mediums to sing lullabies outside the bedroom windows of suspect citizens. Once a suspect had fallen asleep, the medium would break into their bedroom and secrete themselves in a wardrobe or beneath the bed. From these vantage points the medium could record the suspect's dreams and nocturnal mumblings into a specially designed device called a 'Night Mary', named after the woman who invented it. The data would then be assessed by a local judge who could meter out the appropriate punishments. Many subconscious criminals were caught this way and the numbers of dream crimes plummeted. Literally overnight. In addition to the video below, a poster, which can be viewed here, accompanied the scheme. 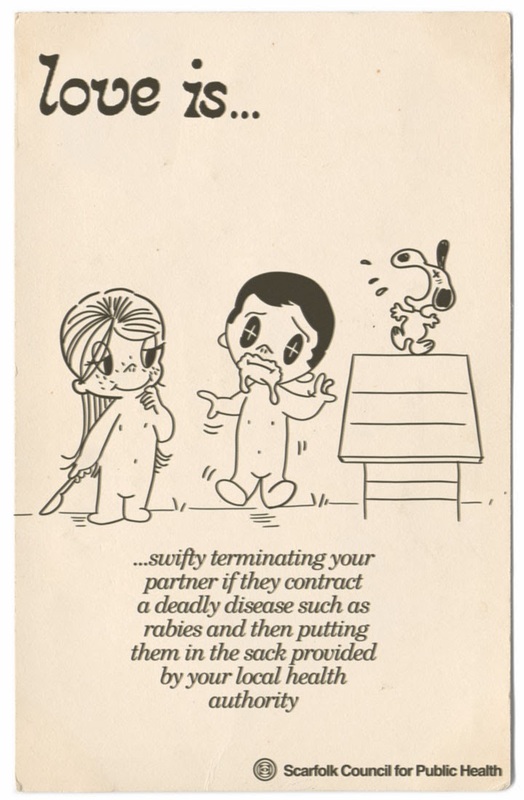 Happy St.Valentine's Day from everyone in Scarfolk...the home of love. There have been recent reports about National Health Service plans to sell off patient data (i.e. your personal medical records) to the highest bidding drug and pharmaceutical companies. 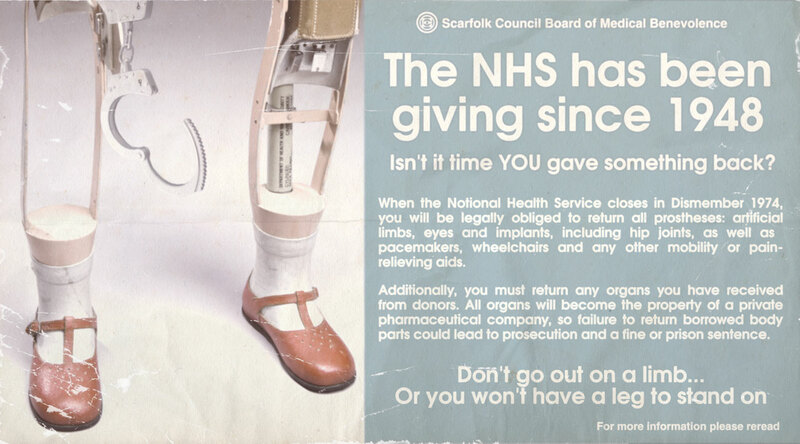 It's worth remembering that something similar happened when the NHS almost closed down in 1974. By Autumn of 1974 the government, which was not prepared for the sheer numbers of returned prostheses and organs, declared a state of medical emergency. Warehouses up and down the country spilled over with artificial legs, arms and buttocks. "It looked like the piles of confiscated possessions one sees at concentration camps," said one man who was forced to return all his limbs and an ovary he wasn't aware he had. Mountains of returned livers, kidneys and hearts (and even children who had been born as a result of artificial insemination) spoiled in unrefridgerated conditions and the overwhelmed government had no choice but to return the decaying, by now useless organs to their owners. However, to make amends they did also send packs of complimentary lemon-fresh hand wipes. Though thousands died, the government did not consider it to be a failing of the NHS. The fault was squarely aimed at the public who were accused of being unhygienic and told to wash more. Returned prostheses: Wellcome Library, London.